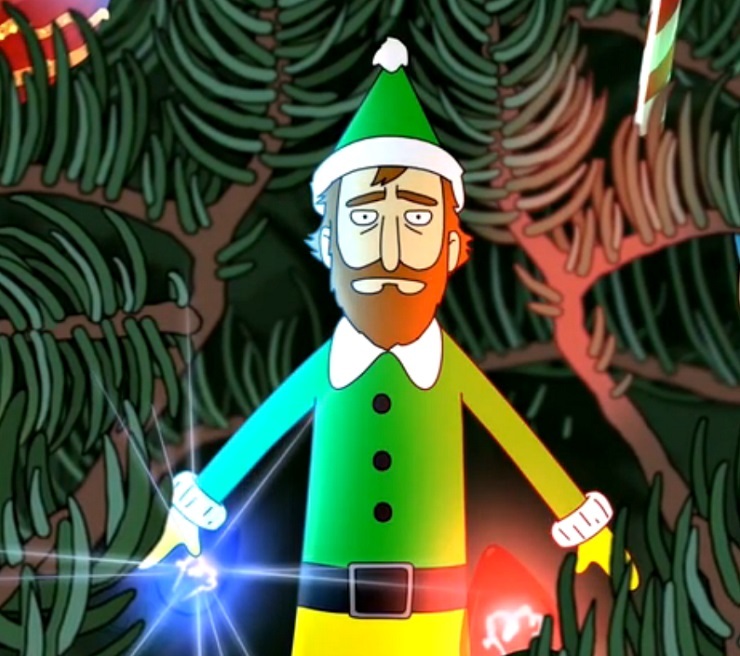 Just in time for the holidays, indie rock ensemble the National have put their downcast twist on yet another cut from animated sitcom Bob's Burgers. This time around, they're shifting the focus from Linda Belcher's Thanksgiving jingles to a spirited take on her gleefully-sung but glumly-themed "Christmas Magic." Animated Bob's Burgers-style, the quintet are presented as a series of Christmas decorations adorning the Belcher's tree. The, frankly, devastating message of the song is handled with Berninger's bone-chilling baritone juxtaposing the sight of "all the cold, hungry people dying in the streets," while his own family keeps warm inside over the holidays. Perhaps unsurprisingly, "Christmas Magic" is actually more of a bum-out when rearranged in a tragic folk fashion than out of a high-energy restaurateur.